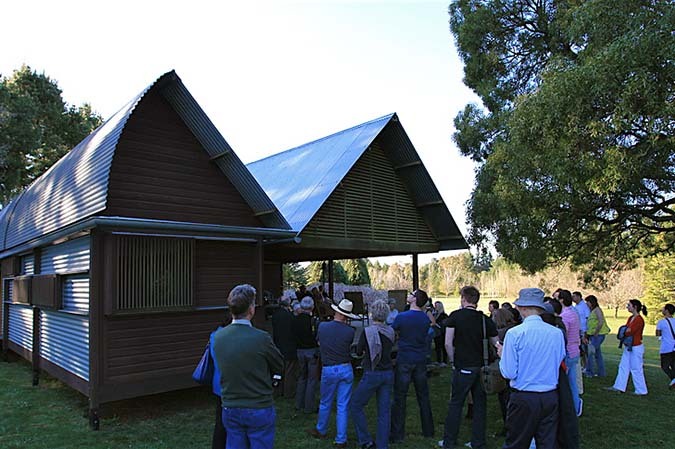 For over a decade the Australian Architecture Association has been making architecture and design available to everyone through a varied program of walking tours, residential bus tours, self drive tours and talks. 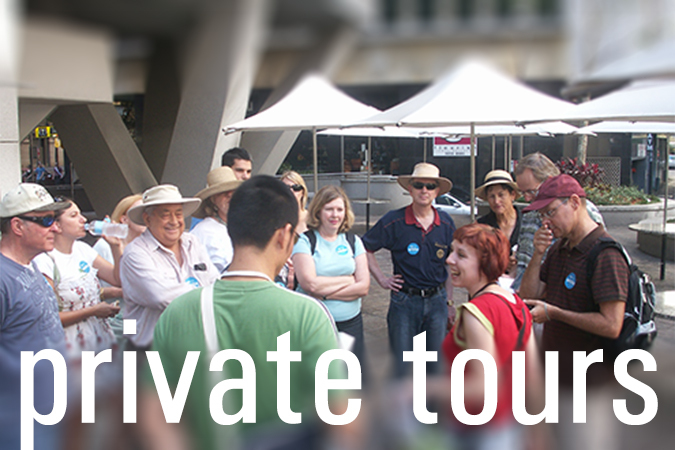 Over the years we have also provided numerous private tours to both groups and individuals. Our talented group of trained architectural guides are able to tailor tours to fulfill the particular interests of participants. Whether you are looking to discover the history of how our built environments developed, discover places you never knew existed, further your professional development or are looking for a great way to team build with your employees, a private tour is a great option. This Sunday experience the Australian Architecture Associations' walking tour of the urban village, Redfern. From an area known more for industry and public housing, the introduction of new government business schemes, changes to the demographic and the real estate pressures of its inner city location, Redfern is fast becoming home to a generation of cultural creatives. This two hour architecture walk explores the changing landscape of Redfern's built environment.This transformation is epitomised by the presence of award winning designer homes and commercial premises, state of the art community facilities and a potpourri of retro shops, cafes, restaurants and bars. NSW: AAA First Woollahra Walk Sold Out! The inaugural AAA Woollahra Walk was launched in February this year and what a great success it was! The walk was sold out. We had a group of 20 enthusiastic people who were not scared of the rain and boy did it rain. Luise Elsing, a Councillor from Woollahra Council, was invited to launch the walk. Afterwards, she complimented us on how wonderful the walk was despite the weather. The AAA has not ventured into this part of Sydney before. Between Woollahra and Paddington, there is a lot to see. The housing stock is very varied between the old terrace houses, new infill housing and architect designed, free standing houses. The walk started at the Phoenix Hotel which is located close to Sid Einfield Drive at the top of Ocean Street. The walk took in many wonderful houses and a variety of buildings including a , church, a synagogue, shops and even the building which featured in that wonderful Australian soapie, Number 96. This was a blast from the past for many of the attendees as they did not know that the building was located in Woollahra. 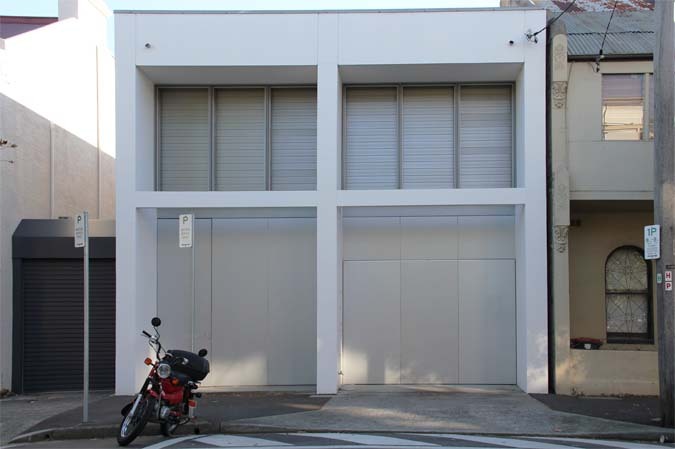 People who came on the walk were not be disappointed as they saw the early work of some of Sydney’s well known architects like Glenn Murcutt, Alex Tzannes and Don Gazzard to name a few. A lot of these houses have played an important role in the history of domestic architecture in Sydney. Since this was the launch of the AAA Woollahra Walk, it finished back at the Phoenix Hotel for a well deserved drink and something to eat and hear some encouraging words from Luise Elsing. Also, to get out of the rain! The next Woollahra Walk takes place in May. Don’t miss out click here to secure your place on the tour. Don't miss out on the first NSW At Home with the Architect for 2017, taking place this Sunday 5 February. 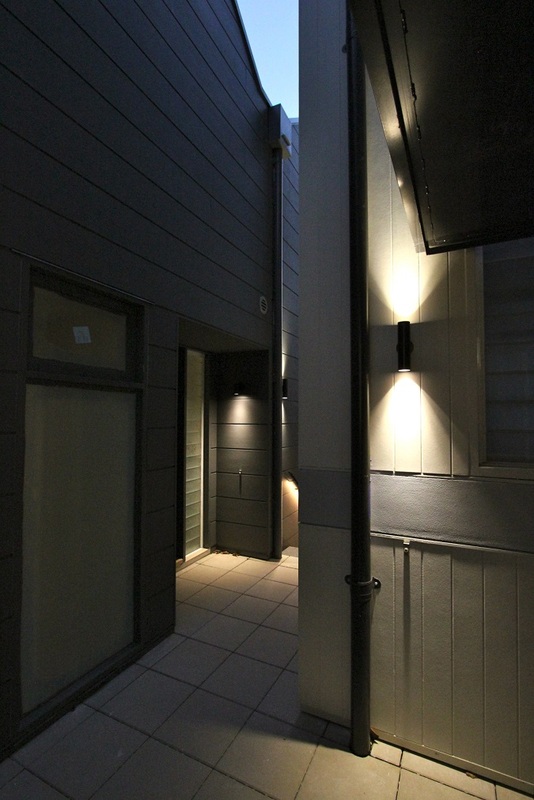 Visit a brand new townhouse development designed by SHED Architects. 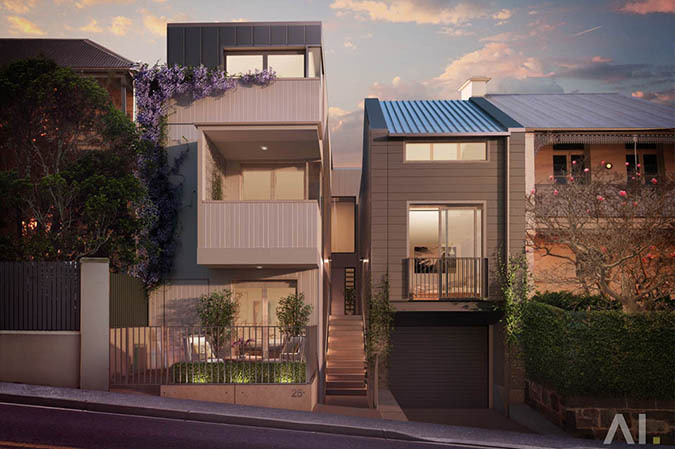 Comprising of three very different and compact dwellings wrapped around a small courtyard, the homes are designed with the intent to create a contemporary and exciting scheme that would integrate into the eclectic and small‐scale fabric of Balmain. 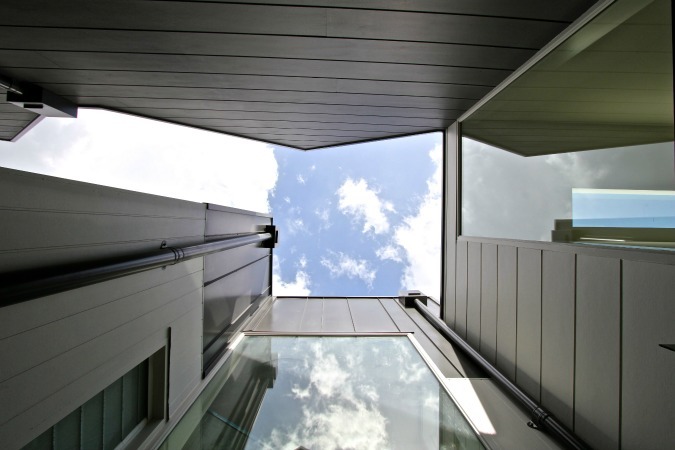 SHED Architects was established in 2012 by UK trained architect Chris Haughton. In collaboration with Associate Terence Yong and Project Leader Joshua Downie, the small practice’s work has been recognised with design and industry awards for its boutique hotel and commercial office projects. The practice undertakes work in a variety of sectors including residential, hospitality and commercial. They have been published in both print and internet media and have been recognised for their environmentally conscious approach to design as well as their sensitive adaptive re-use of heritage buildings. You won’t want to miss out on joining the first At Home With the Architect tour for 2017! Book now by clicking here. Enjoy a weekend stroll through one of the first residential settlements established by the First Fleet - The Rocks. Trace the development of Sydney's oldest suburb with buildings representing the past, present and future! Wander through the hilly terrain and see how heritage and contemporary architecture co-exists in harmony. Discover the marks left on the district by the plague of 1900 and major infrastructure projects such as the wharves and the harbour bridge. 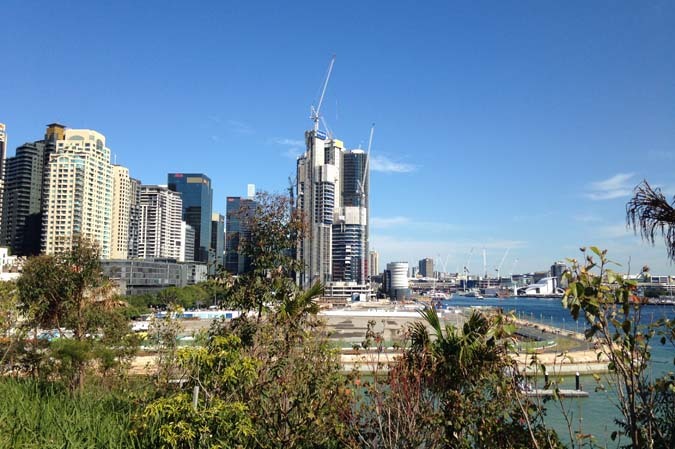 We will also witness the metamorphosis of the area into new residential, commercial, recreational and cultural uses of the 21st Century after the port facilities moved away in both Walsh Bay and Barangaroo.